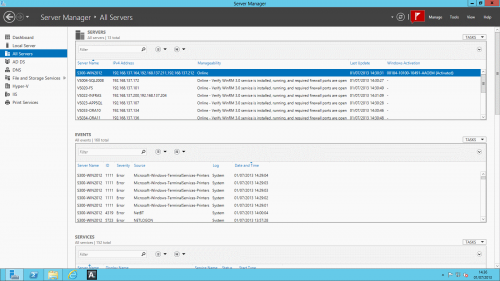 The Server Manager console in Windows Server 2012 is a great improvement in my opinion over the equivalent in previous versions of Windows Server, as it allows a quick overview of the activity and health of a server through simplified versions of Event Viewer, Services and Performance Monitor all on a single page. 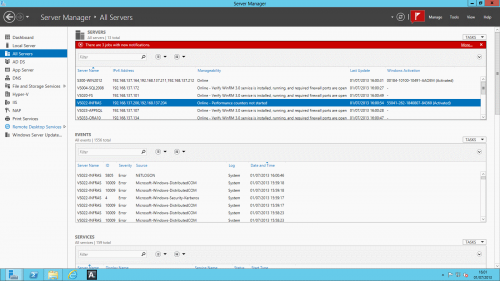 What’s even better is that it can be used to manage and monitor multiple servers. In a larger Enterprise environment I think System Center 2012 would be a better tool, but here where I only really need to be managing about a dozen servers it is perfect. 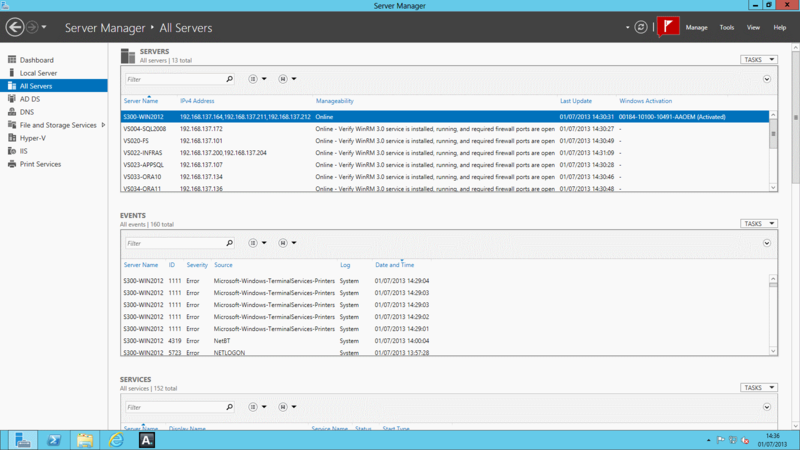 The process to add servers to the console is very straightforward, justs click on Manage and then click Add Servers. 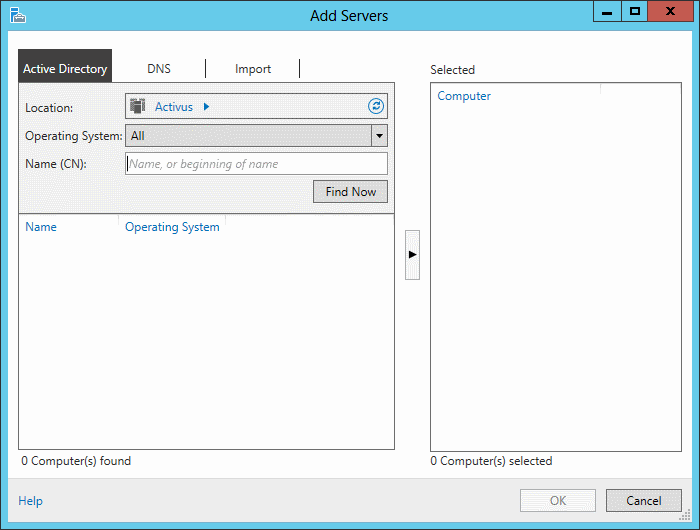 Next you can then perform a search of Active Directory or via DNS to find servers to add. Alternatively you can import servers into the console from a file. However like me you are likely to see a whole bunch of errors alongside the server names as below. 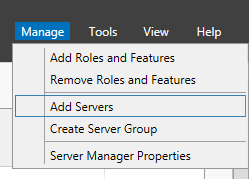 Also please note that you can only currently add servers running Windows Server 2008 or later to the console (you can add other servers but I don’t think that they can be configured so that Server Manager can pull data or send management commands). That’s the easy bit. 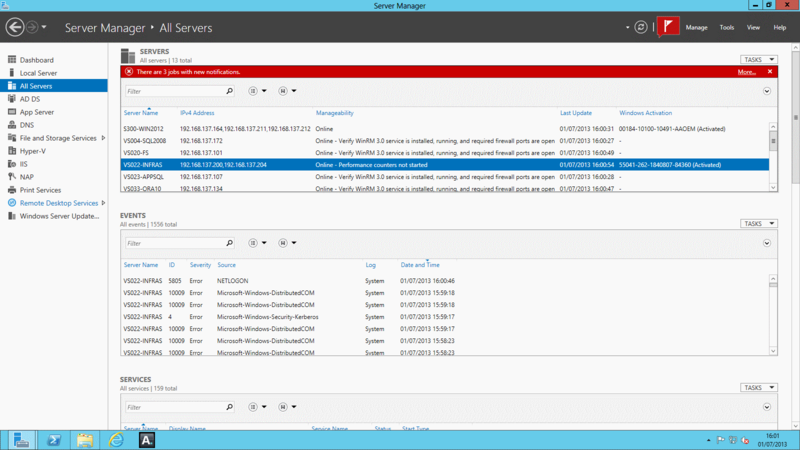 The next step is to configure each of the servers that you wish to manage and monitor, information on how to do so is located at http://technet.microsoft.com/en-us/library/hh831456.aspx. However I was still getting the same error message even after installing the three required updates. I verified that the WinRM service was running and so concluded that the firewall was blocking the data. The resolution was to run the command WinRM quickconfig on the server that is to be managed and this then creates a WinRM listener to accept WS-Man requests and creates an exception in the Windows Firewall. The command and output is shown below.